During this week leading to Christmas, our thoughts lean toward family, presents, and celebration. To add a bit of sparkle to your celebrations this season or to forget that your are surrounded by family, we bring you a few more of our favorite holiday themed libations. For the back story to each cocktail, click on it’s title. Here’s to cheerful season to you all! Combine ingredients in a cocktail shaker with lots of ice. Shake until well chilled. Serve neat in a martini or liqueur glass. 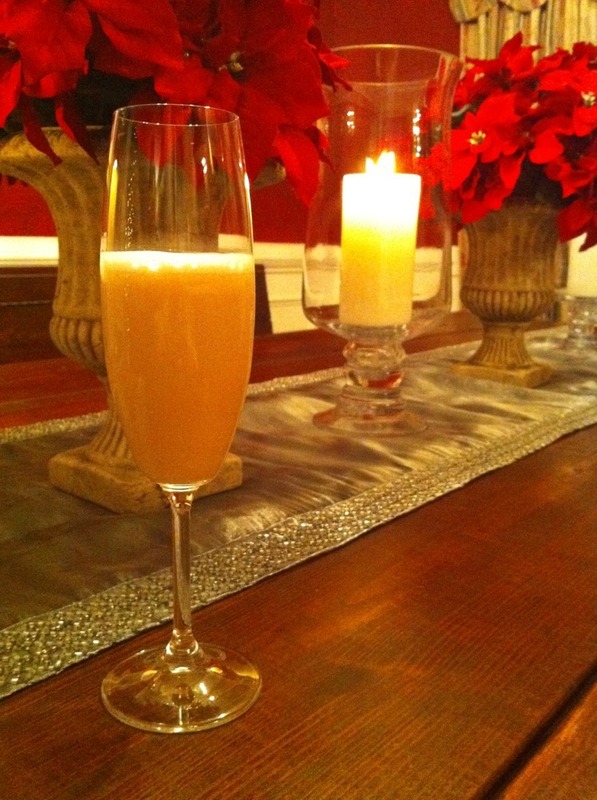 If you wish, grate nutmeg over the beverage to finish. Toast cinnamon, cloves, allspice in a pan. After cooling the spices, place each in a heat-resistant container (I use a bottle with a stopper) and pour in desired amount of Calvados to be infused. Let steep for 1-3 days or until desired strength of flavor is achieved. Crack an egg and separate the white into an empty shaker. Add all ingredients and shake vigorously. Carefully open the shaker (pressure may build up) and add ice. Shake again, then strain into a sour glass or Delmonico glass. Place all ingredients in a shaker with ice. 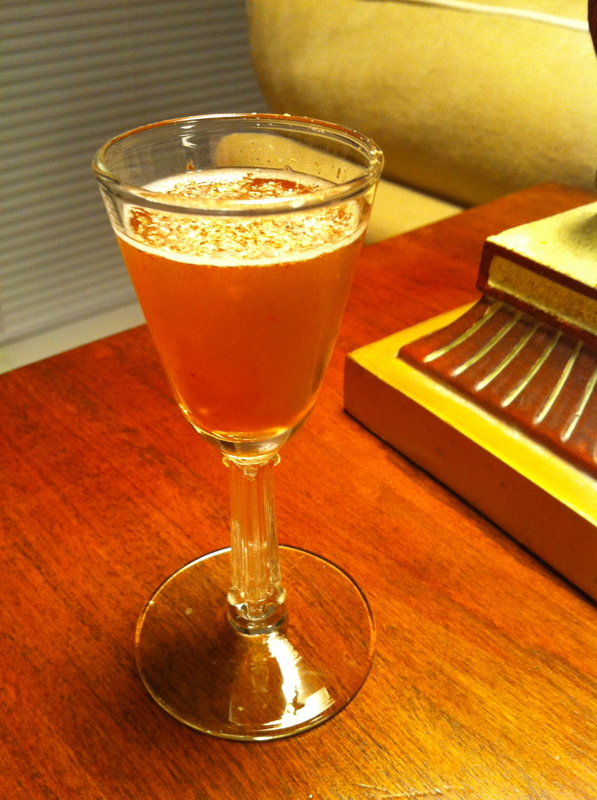 Shake well then strain into a brandy glass and garnish with cocoa nibs (we prefer Scharaffen Berger). 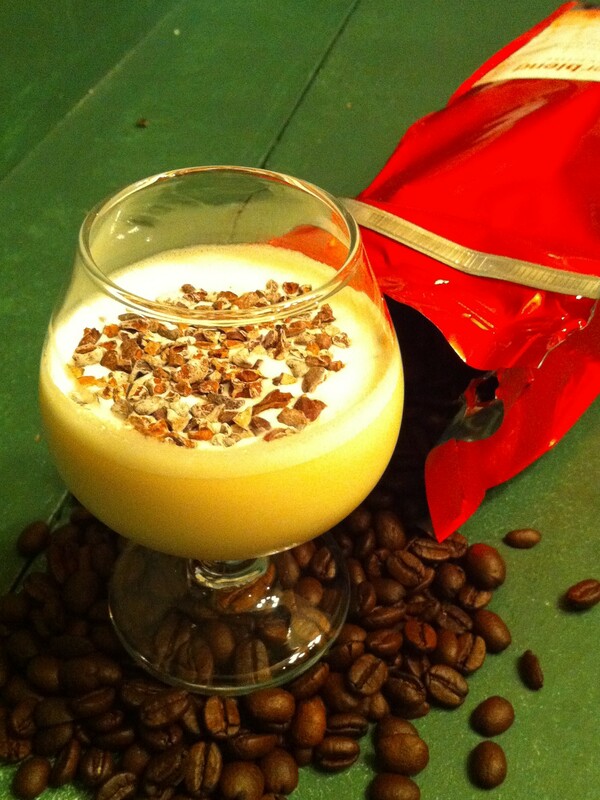 Coursely crush a cup of espresso beans and place in a glass container with up to 750ml of rye whiskey. Seal, and allow to steep for three to five days. Double strain and store for future use. Those all sound SO good! The apple pie one might be my next endeavor. Next Next post: Another Vodka Stinger?